No images of LECA Installations. Excellent experience and result. Researched 8 companies and options. 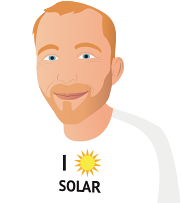 Gained a great deal of knowledge about the field with the help of the SOLARQUOTES site and others. Management and technical staff at LECA knew what they were talking about and many staff at other companies told me lots of "porkies" or just had no idea at all what I was asking. Workmanship quality was excellent and was sales support before and after. Great Phone app ensures we can turn on washers and dryers etc when we have excess power and can use it for "free"
Very happy with them and will use them to expand the system in near future plus put batteries in. Price was high but competitive with others comparable. Quality and service was far greater value.